The Fête des Lutins in Passy what is it? It is a party for children! Every year we use our imagination a bit more to make this special day a day to remember for the little kids and the big ones! Artistic workshop, fun activities, games, shows always surprising… Those are the secrets which make the Fête des lutins a major success every year! 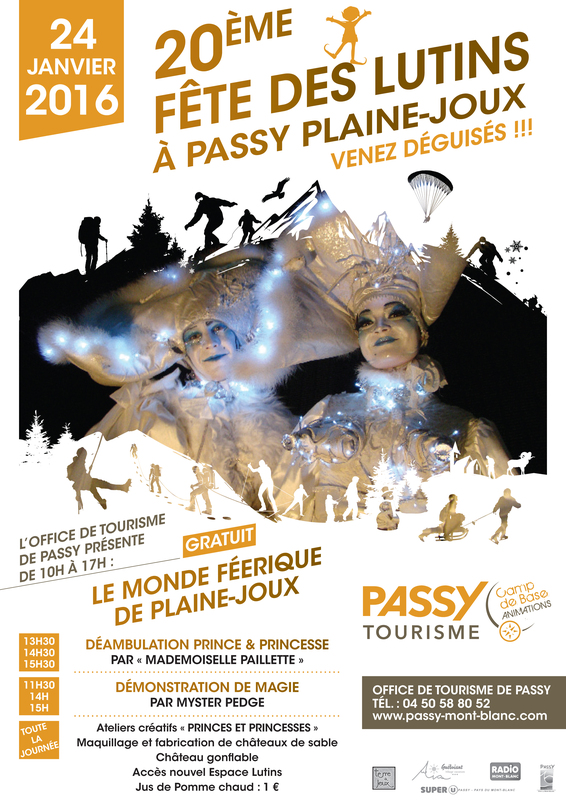 Let’s meet on Sunday the 8th of January 2017 from 10am to 5pm at Passy Plaine-Joux. The 2017 theme will be announced later.